Twice monthly, join a Manhattan Prep instructor for a free one-hour LSAT prep session. Wouldn’t it be nice to have free access to an LSAT expert? Well, here it is. LSAT prep is hard, but we want to make it a little easier for you. That’s why we’re offering special live online LSAT prep sessions twice per month, open to anyone, completely free! In these sessions, a 99th-percentile LSAT instructor guides you through test content and answers your questions. Register to submit your questions in advance to have them featured in the lesson. And no worries if you can’t make it. You can watch the recordings on our YouTube channel anytime. Just be sure to subscribe! Sign up for Free LSAT Prep Hour. Check out our previous sessions. Subscribe to our LSAT channel and never miss a recording. Free LSAT Prep Hour is led by a rotation of the best of the best in LSAT prep. All instructors have 99th-percentile LSAT scores and years of teaching experience, and they’re all super stoked to share their knowledge with you. Register for an upcoming session and submit your LSAT question via the link in your confirmation email. We might just answer it live. Having trouble with grouping games? Struggling with identifying assumptions? This is your chance to get expert guidance on your LSAT pain points. All Free LSAT Prep Hour sessions will be available on demand via the Manhattan Prep LSAT YouTube channel. Recordings will be published one week after each live session. Be sure to subscribe to the Manhattan Prep LSAT YouTube channel so you don’t miss out! Is this the new Zen and the Art of LSAT? Yes! Formerly Zen and the Art of LSAT, Free LSAT Prep Hour is the new name for our free LSAT prep sessions. Who should attend free LSAT Prep Hour? Anyone at any stage of their LSAT journey! Whether you’re just considering prepping or deep in the weeds of LSAT prep, there’s something for you in these sessions. Free LSAT Prep Hour workshops are a great opportunity to have your most pressing questions answered by an LSAT expert. What are the details of free LSAT Prep Hour? Sessions are one hour long and offered twice per month (check the calendar for exact dates). Each session will be taught by one of a rotating cast of our 99th-percentile LSAT instructors. 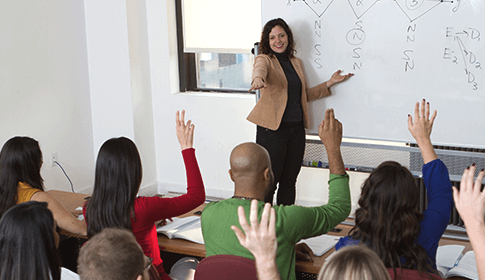 Instructors will deliver lessons on LSAT prep content and strategy, and you’ll have the opportunity to ask questions both during the lessons and at a Q&A session at the end of each session. What if I can’t attend free LSAT Prep Hour? Not to worry! Video recordings of each session will be published to the Manhattan Prep LSAT YouTube channel one week after the live event. Be sure to follow us on YouTube so you don’t miss any! Is Free LSAT Prep Hour really free? Yes! All you have to do to attend is sign up. No credit card required.